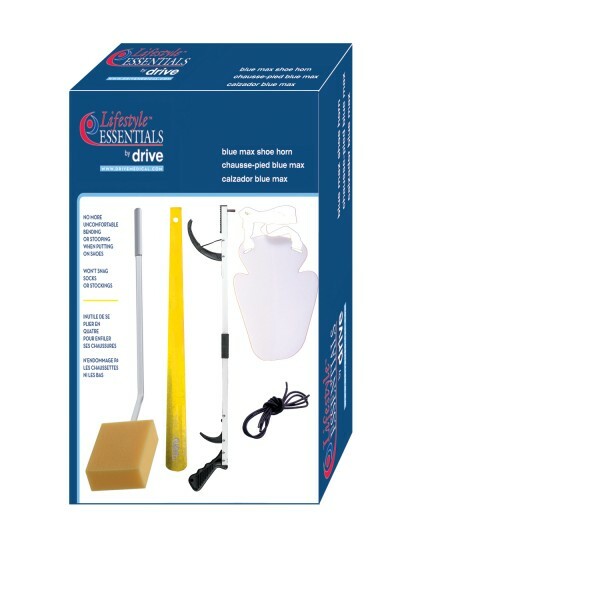 Contains: Long Handled Bath Sponge (item # RTL1020). 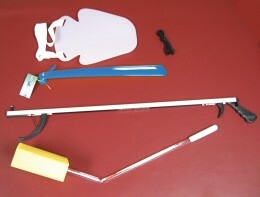 Poly Stocking Aid (item # RTL2012), Super Arm Reacher. 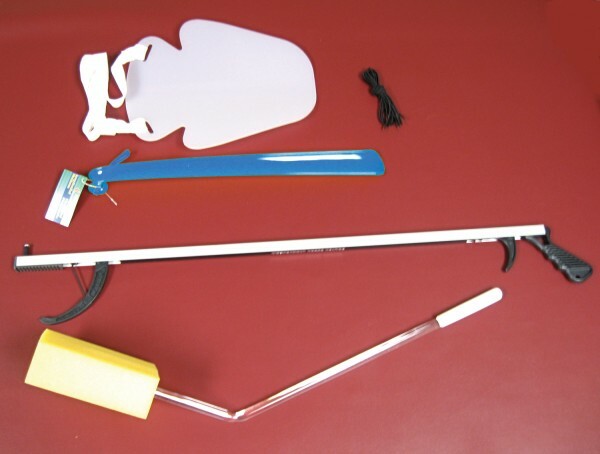 32' (item # RTL5021), Plastic Shoe Horn (item # RTL2049). Black Elastic Shoe Laces (item # RTL2050).